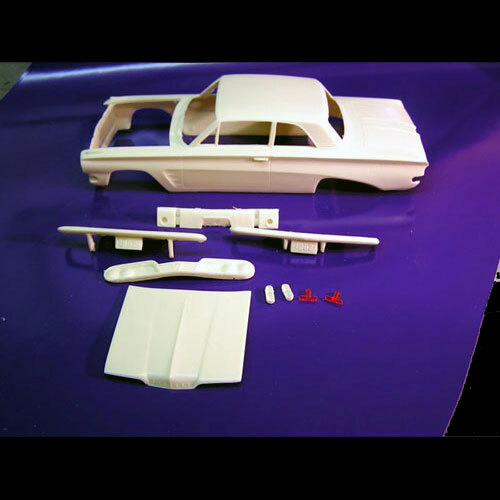 1962 Pontiac Tempest by Bandit Resins. This kit includes the body, hood, grille, bumpers, taillight bezels and clear red taillights. Bandit Resins recommends: The AMT 19-66 No-va kits work best as a doner kit for the needed parts.